ORDER AFFORDABLE FLEXIBLE PARTIAL DENTURES ONLINE! STEP 1. ANSWER A FEW TEETH QUESTIONS! Partials Come with a ​Free Denture Bath! Satisfaction Guaranteed or 100% Refund for Returned Partials! ​*The pre-paid return label is valid for 1 month. Note: Follow the written updated instructions that came with your kit and use this video for reference only. ​The putty baggies include more putty so you only need a total of 4 baggies. Our acrylic resin teeth have high resistance to wear & tear, outstanding anti-discoloration properties & exceptional hardness. If you have at least 6 natural teeth in your upper jaw, buy this flexible partial denture to brighten up your smile! If you have at least 6 natural teeth in your lower jaw, buy this flexible partial denture to brighten up your smile! If you need both upper and lower flexible partial dentures to brighten up your smile, use this option to save the most money! We offer a free one month warranty from when you receive your dentures, during which you can ship the dentures for free adjustments. Purchase this option to extend the warranty for 6 additional months beyond the 1 free month. Extended warranty includes free adjustments on current dentures that we made and/or a $25 discount for new dentures within the warranty time frame. Extended warranty must be purchased no later than 14 days after the delivery of the dentures. Purchase this option to extend the warranty for 12 additional months beyond the 1 free month. Extended warranty includes free adjustments on current dentures that we made and/or a $50 discount for new dentures within the warranty time frame. Extended warranty must be purchased no later than 14 days after the delivery of the dentures. "Now I know what good fitting custom dentures fit. I love these dentures. The gum color, teeth and the fit are all excellent. I would recommend this shop to anyone. You get more than you pay for. The customer service, return policy and the over all experience were excellent." "I want to thank you all for a great product. After having some gaps where I was missing teeth for several years, It is amazing to be able to smile confidently and not worry about my gaps showing. Also eating without getting jabbed in the gums is awesome too! The fit and finish is top quality for the price and I encourage folks to just place your order. I haven't seen a better price on flexible partials anywhere. I will be back when I have a couple more gaps to fill in the future. Great partials! Thanks!" "I've just received my partial and i cant believe how great they look and comfortable they feel. my speech is crystal clear and the fit could not be better on a satisfaction scale of 1 to 10. My level of satisfaction is 1000.000 i will go out of my way to tell other's about lowpricedentures.com The bottom line is this is a superior product at a superior price with superior service. Thanks all's i wanted for x mas were my 2front teeth .lol do you get it? Thanks again." "They look good and feel great!! and are affordable. Thank You for giving me back my smile." ​"Thank you so much for all your help, my husband and I were very pleased with your service." "I received the dentures today and they appear very well made and fit as well as one could expect. It will take a while for my mouth to get used to them, but I expect them to work quite well. Thanks for your service at a reasonable cost." "Thank you for my order!!! They look and feel pretty comfortable so far!!! Thank you so much for restoring my confidence!" "Thanks I received it today; very nice fits good and looks good I can smile again I will show it to a few people that could use one too." "Just got them. Excellent! As good as my dentist-made $1,350 upper. Highly recommend Low-Priced Flexible Dentures." "thanks for making it so easy"
"I received them today and I feel like a new person. Thank u." "I am so pleased with the process and the service of this company. It was fast for the type of item. It was simple. Overall the end product was simply beyond satisfying! I am so pleased with your service I'm so happy!!!!! I'm a police officer and a Registered Nurse I could not afford to face the public in my past condition!" "Thank you for a excellent job on my partials, it is very comfortable, I have already talk and showed to my friends and family about the great job!" "Just wanted to thank you. The partials are working out great. I will spread the word about your product." "I just wanted to say thank you, thank you, soooooo much. I don't think people realize how it hurts to have bad teeth and how ugly it makes you feel, this it's well worth the money I paid. I just have to get used to having teeth that aren't missing...Lol Thank you all so very much." ​​"Just wanted to say THANK YOU SOOOOO MUCH! The fit is amazing and my mouth isnt sunken back like my other dentures! They look so good! Thank you!!!!!! I love you guys!!!!!!! Im so happy with these! I ordered both upper and lower partial dentures. They fit perfectly and look better than the partials I got from the dentist! Thanks guys!!!!!" "Just wanted to tell you that I received my partial and couldn't be happier! I have my smile and confidence back. Process was extremely easy. I'm so glad I purchased this partial! Fits perfect and looks amazing! I would definitely recommend! Thank you!" "Hi Thanks I'm really happy with the partials . They are perfect . You did a great job! again Thank you"
"Hi! They are GORGEOUS! WOW! Amazing work, and the teeth are beautiful, I LOVE IT!!!!!!!!!!!!!!!!!!!!!!!!!!!!!!" "I am using it almost 100% time and stopped using my immediate denture. Thanks for your great customer service and excellent craftsmanship." "I receive them today. I have them on now : ) They are perfect. You all did a great job !!! Thank you so much!" "So far they feel super! I've already referred my dad to you and my nephew"
"Hello, I received my partial today, I'm very pleased with it thank you very much!" "I am pleased the way they look in my mouth"
"Yes I got my partial today. Thanks, you all did a great job. I have my smile back. Please keep my impressions I want to order another one in about a month. I was very skeptical at first. I did my research and read all of the other reviews and so I decided to try it. When I got my partial in the mail today and put them in my mouth I could not believe how good they look. I have my smile back and you can't even tell that are not real. Thank you for my new smile I am so happy. You are a legit company." "I'm so HAPPY!!! Thanks for all of your help.. You gone Far and Beyond what good customer service is.. they are a perfect fit..I have a full smile now thanks to you guys..My teeth are AMAZING!! !I love my new smile I don't have to use adhesive anymore #thankyou .I am so happy thank you so much for understanding and working with me.. I am recommending you to everybody that I know.. I have a friend that's going to be in contact very soon he needs upper and lower as well..."
"Received the partials Saturday. The teeth on the partials are excellent. I truly appreciate all your efforts. Immediately noticed these had a more "U" shape than a "V" shape, compared to the last ones (this is comparing them to my own old partials). Followed directions and put them in my mouth, lower fit was excellent, upper very, very good. Ate lunch and was impressed to chew/grind food with the teeth on the partials, with no pain. Ate Sunday meals, same results. Ate meals today, same results. The added satisfaction is that my remaining front teeth do not hit when chewing , as the back teeth on the partials will hit just right. My periodontist will be impressed with these results! I immediately wear them each morning. I can only say, "Thank you very much". I look forward to my next purchase." "Happy new year folks! Received upper yesterday and I couldn't be any happier with them, it looks and feels great. If you could send me a few more business cards to place on info wall at work that would be nice, people need to know of the great work you guys do and I would like to help. God bless." "I really want to thank you for everything. after having 5 new crowns I thought I would never be able to afford new partials. I am definitely telling everyone about you. Once again thank you. Received my lowers back fit perfectly thank you. Thank you so much love the product and gave your name to several people. My neighbor ordered your trays she said she's getting them Friday. Once again thank you so much for making this a wonderful experience never thought I would purchase partials online. The good news is that I have several friends who want to see my teeth up north they don't believe I got them online and some want to order then..Believe me your name will get out.. Perfect fit!! Can't thank you enough!! I just want you to know that my partials are perfect! I love them. I gave your name out to several people. Once again thank you." "I LOVE MY NEW SMILE! I catch myself smiling for no reason. Im so happy with the product. Can't wait to order my bottom ones next"
"Thank you, thank you, thank you... I've gone so long without smiling, almost 15 years now, that I know it'll take me a while to get used to being able to smile again... But when I do, I won't have to feel insecure and wonder who's looking at my teeth. I am very pleased and have told several people already and will continue to, and I know that if I need another one, I'll be coming to you... Also, thank you for the Bible tract you sent with my impressions. I'm a follower of JESUS, but I know there's many people who aren't, and I think it's great you are using your business as a way to witness and reach others with the Gospel message. I appreciate all of your help through this process. And thank you for answering my many questions. I wasn't expecting them to come until this weekend, and I was so excited when I opened my mailbox today. Thank you again. GOD Bless you and your family." "Got my teeth today, they fit and feel good, thank you for your service. keeping it where I could afford them. But most importantly your message of our God, for our country has gotten so far from Him, most people and businesses won't speak of Him, it's good to see some of us still believe. I pray more of us wake up and ask Him for His Divine guidance"
"Hi I was satisfied with my product. would there be anyway I can have a second pair sent made the exact same way?" "I received today and I am very happy. They are so much better than my old top denture"
"Hello I would like to thank you at Flexible Dentures.. You have gotten my smile back & I feel human again and they fit so perfect its incredible ! I will definitely be a returning customer.. and HIGHLY RECOMMEND to anyone needing dentures MUCH MUCH THANKS AND APPRECIATION"
"I have just received my upper and lower. It's been over 15 years of shame and not smiling. This thing fits awesome and I feel happier. Thank you so much. And I will most definitely send your information to alot of people. If you can send some more cards. I know of alot of people who are feeling the same way I felt. And with the price and the quality that you just provided me. I am so grateful rite now. Thank you for your services and as tears of happiness run down my face. I am speechless. GOD BLESS YOU." "Y'all are awesome! Thank you for all of your help and giving me my smile back!! God bless!" "Thank you very much for your outstanding work. It looks very real and I would like to refer a lot of customers to you." "The ones I ordered a few months ago were ... ALOT better than any of my previous ones from the dentist"
"Your customer service has been amazing!" "Thank you very much for the partial Dentures you made for me, they're excellent!" "I want you to know that I received these yesterday and I couldn’t be happier! I cannot believe I didn’t do this sooner! I love them." "Thank you very much for the high quality dentures and workmanship. I will defiantly refer people to your excellent service. i am and all the people i showed how happy i am and how good your workmanship and overall quality of your product. They are amazed how good your product is." "Awesome! Perfect fit. Thank you"
"I just want to say thank you for an excellent job i will be recommending y'all to anyone" & "You guys are awesome!! I will tell everyone the great job done on my partial. It fits perfect. Im so happy to have it and it's twice as good as the last one that broke in half. Thanks again. Have a great day." "Thank you so much. I received the partial denture and it fits great. I will make sure to recommend you to my friends and family!" "All is good very happy with my flex wearing every day"
"Thank you so much for your help. I've told family & friends about your company." "Thank you for making teeth affordable." "Hi I just wanted to say thanks for all your help with my order I received my partial today and they fit great"
"I received and am happy with my new partials. The fit of this partial is exact! I will definitely be passing along information about your company! I hope to do more business this year with a new upper plate. Again, thank you for your great customer service." "I really appreciate your service. My upper dentures are working very well for me." "I love them. wow I'm so happy"
"Thanks ya'll my lowers fit great and feel good as well, fine job!" "You guys are great!!!! Thank you so much!" "Just a note the partials you made me fit great and feel great bravo to you for such a great job"
"I want to thank you so much for making my lower partials. I just received them and followed your instructions on how to put them on. They feel great fit perfectly. I will have an even better time on my vacation. God Bless You. "I saw them sticking out my mailbow just a bit ago. I love them! I'll send pics tomorrow with and without. They look much nicer than ones i had made locally at denturist, and yours are at one third the price.. Perfect fit! You did awesome. Could barely tell they were in my mouth. Thank you so much!" "I just wanted to say thank you for my partial denture that I received in the mail today. I lost my partial a year ago and was told by my dentist that I had to wait 5 years for my insurance to cover 60 % of the cost for new one, or pay $1500 for a replacement now. $300 for a partial denture was a deal that sounded to good to be true, especially since there are so many online scams, so I was reluctant to purchase them at first, but I am so glad I did. I work in public service, and it was embarrassing and difficult to interact with people everyday and try to smile without showing my teeth. These partials are way more comfortable and better quality than the ones that I got from my dentist. They also look more realistic since there are no wires wrapping around my teeth. To sum up my experience, I am very happy with my purchase, I will recommend you to my family and friends, and I will definitely buy from you again in the future. Thank you so much!" "Thank you so much I can’t stay out of the mirror. They are perfect. Have a wonderful day or evening. I will refer you to my sister. She wanted to see mine first. I can do a customer review, if needed. Thanks again and be blessed." "Dear Lowpriced Flexible Dentures, Thank you for offering such a convenient service to the public. Upper partial dentures received. Followed Tips. Feels comfortable. You guys are awesome! Thank you tremendously! Will recommend to all and everyone! Happy holidays!! Lowpriced Flexible Dentures is an awesome solution for those who cannot afford conventional dental cost Had my upper partial done Received with instructions The fit was so comfortable I can smile again without being self conscious! I can chew on more than one tooth! These people helped me out tremendously! If you cannot afford the professional dental cost try LowPriced Flexible Dentures. It's the place! Carolyn Hernandez from Queens NY but live in Georgia currently"
"I was skeptical, but decided to try these dentures. I could not afford the $70,000 to $80,000 for jaw surgery to correct my under bite. Nor the $20,000 to $40,000 for denture implants. I can't express how happy I am with my low cost dentures. The fit is perfect. I can chew again!!! I can't wait to show my dentist. So many people thought I was nuts to buy dentures online. Now I can eat nuts! Thank you!" "I am almost in tears. The partials came out great, it feels so wonderful to have my smile back. I was skeptical being it an online service, but I still believed in your companies service based off reviews and quick response times on questions I had. Again I am extremely happy and satisfied. I will tell those in need of you guys wonderful service and affordable prices. Thank you again"
"Hi, good morning I did receive the dentures they are awesome. Thank you for all your help. I am a cancer survivor and chemo damaged my teeth really bad. But I was paying all the doctor bills and couldn't fix my teeth. This is so affordable. I am so thankful you do this. This site is awesome. My partials fit perfectly and they look amazing. I recommend to anyone." "I'm so excited to have upper teeth again! Thank you!! Thank you so much for the awesome upper denture! I'm smiling again and I'm going to write a review on your website! God bless you! Just wanted to say thank you for the wonderful service and great fitting denture! I'm so glad to not be hiding my smile and feeling so much more confident! Highly recommend you to anyone who has issues with missing teeth! I can't thank you enough!" "And to know Him is to know Life! Praise God! Just had my two bottom front teeth pulled and the Denture installed by my dentist. It fits well it feels good. Thank you so much for your diligence. My dentists secretary asked for your website for her brother who is a senior citizen because she was impressed so much by this partial. I'm so thankful. I want to leave a wonderful review on how well my teeth fit and look. I had to have two front lower teeth removed by my dentist today. I love the way they fit and feel and am chewling and keeping them in after the teeth extrations . Thank God for you guys!!!!" LEARN HOW TO ORDER AFFORDABLE DENTURES ONLINE! ​It is easy to learn how to buy dentures online, and by reading the following you can soon receive your mail order dentures online for only $280! Step 3. Order dentures online. A single partial denture is $280 and both partial dentures are $500. | 10 minutes to order. Follow the steps to get dentures for sale online. Internet dentures are a great alternative to save money. Make sure to visit our dentures online store to find out more about how to purchase dentures online at a fraction of the cost of what a dentist would charge. WHERE DO I ORDER DENTURES ONLINE? 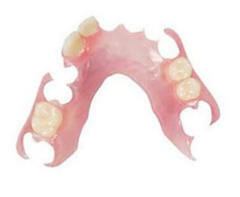 ​Get dentures online from lowpricedentures.com, where we guarantee them to fit your impression. When you fill out our form at lowpricedentures.com , you will be on your way to buying dentures online! To get online dentures buy the impression kit, which you can get up to $2 off with a coupon code. A great way to save your hard earned money is to go to lowpricedentures.com to get dentures online to order at the great price of $280. You can buy temporary dentures online, replacement dentures online, cosmetic dentures online and more all at an affordable price! ORDER PARTIAL DENTURES ONLINE TODAY! ​Removable partial dentures (RPDs) are for a partially edentulous patient who wants to have replacement teeth for functional or aesthetic purposes. You will enhance your smile and improve your speech with our online dentures partials. This type of prosthesis is known as a removable partial denture because patients can remove and reinsert the partial when they want without a professional’s assistance. To buy dental partials online, go to lowpricedentures.com and follow the 5 easy steps. Your partial dentures online order is shipped via USPS and we provide you with the tracking number. We offer both dentures and partials online; partials for patients that have more than 6 natural teeth do not require a bite registration (only upper and lower impressions). So get your denture online for only $280 at lowpricedentures.com. ORDER FLIPPER TEETH ONLINE TODAY! ​A flipper denture is a type of an oral device that usually replaces one or just a few lost teeth. 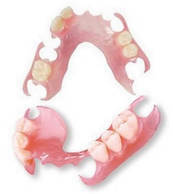 Usually, flipper dentures are only used until a permanent denture, so it is generally used as a temporary device. It is made of plastic and replacement tooth/teeth. A flipper denture can be used when a tooth has just been lost. It can be worn while the area heals around the lost tooth. You can buy flipper teeth online at lowpricedentures.com. We recommend buying dental flippers online through lowpricedentures.com, as they are the best cheap dental flippers online that are made with quality in mind. If you are searching for teeth flippers online, flipper teeth buy online or dental flipper kits online, then we strongly recommend ordering dental flipper online from lowpricedentures.com because the quality and price is guaranteed. ​Get low cost dentures online that are great quality and FDA approved. Get cheap partial dentures online that are made with great quality and are not possible to find elsewhere as we are the number one leader in this specialized market online. You can buy cheap dentures online that will be satisfied with at lowpricedentures.com. Low-Priced Flexible Dentures is the place to buy dentures online cheap. 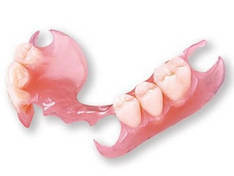 So you can end your search for cheap false teeth online or online dentures cheap or dentures online cheap because you can get high quality affordable prosthetics at lowpricedentures.com. You might have been searching for cheap partials online for a while now and we are glad that you can finally order cheap dentures online with confidence from us because we back up all our work 100% guaranteed. © Copyright 2019 Low-Priced Flexible Dentures. All rights reserved. TCS and Valplast are comparable to CFS, DuraFlex, FlexStar, Flexite, Ultraflex, Sunflex, Tri-Flex, and Proflex. Words that describe our product include: removable partials, flexible partials, partial dentures, affordable partials, inexpensive partials, order partials online, upper partial, lower partial, and cost of partials for. Serving all 50 states: Alabama, Arizona, Alaska, Arkansas, California, Colorado, Connecticut, Delaware, Florida, Georgia, Hawaii, Idaho, Illinois, Indiana, Iowa, Kansas, Kentucky, Louisiana, Maine, Maryland, Massachusetts, Michigan, Minnesota, Mississippi, Missouri, Montana, Nebraska, Nevada, New Hampshire, New Jersey, New Mexico, New York, North Carolina, North Dakota, Ohio, Oklahoma, Oregon, Pennsylvania, Rhode Island, South Carolina, South Dakota, Tennessee, Texas, Utah, Vermont, Virginia, Washington, West Virginia, Wisconsin and Wyoming.